At TEAMWARE, innovation is important and is backed up by years of research and development which allows us to produce a range of products that are quality and technically superior. We invest more than any other Ironmongery companies in Malaysia and are market leaders in our field. Teamware makes a point of making locks for professionals who earn their living installing, specifying & servicing locks. These professionals know that only one brand offers the widest variety of locking hardwares, key systems and door controls. 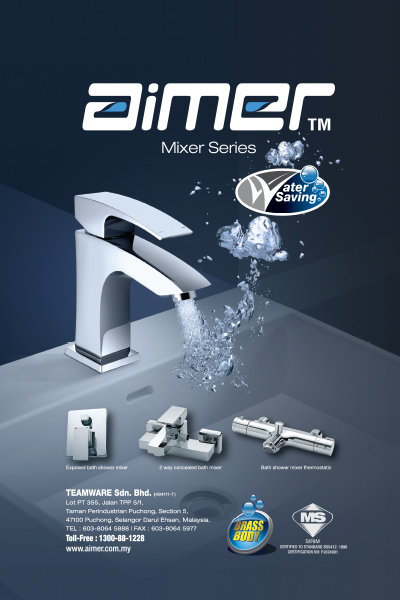 The outstanding hardware value that Teamware represents has been recognised by architects and builders alike, who have responded enthusiastically to the exceptional designs that distinguishes our products. The comprehensive Teamware line makes choosing your materials easy, even for the largest projects and we provide excellent customer support with rapid delivery of all the products which we manufacture & represent. By choosing Teamware you are not only buying a quality product but also one that provides excellent customer service and support.